It has not yet been proved by reliable scientific experiments, but the state of mind, habits and drinking rituals of Romanians are all contagious. Many visiting tourists have been spotted in Romania and after leaving this country, they can be observed imitating Romanian habits: swearing like truck drivers in an traffic jam on a hot day in summer, stinking like a truck driver on a hot day in summer, drinking like a truck driver on break on a hot day in summer, and finally burping as a sign of self content. Dacias are now, according to anyone in the known univers, the Best Cars Ever on the Planet Earth: "They will, in the future, develop a new car conception, and will purchase the Mercedes and General Motors concerns who are in Very Big Trouble." 1. The ancient kingdom created by Burebista the hairy. It was a great and huge condome, spreading as far as to the Kirghid empire. And so, the Dacians were conquered al Europeean teritory and all people of European Union are used a new coin & money - ( LEU GREU). The Roman invaders were stuck in Dacia for a few hundred years (they all got drunk from the vapoursof tzuica de pufoaica, some stayed because they liked the drunken hippie atmosphere). 2. 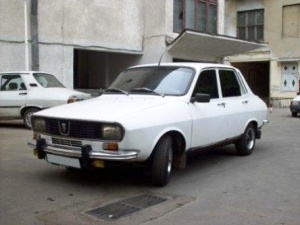 The second meaning: Dacia is not a car.It's SUPER CAR ! Some may argue that it has an engine, four wheels, it makes funny driving noises and can actually move. Experts however concluded that it is not a car of our time. It's a car of future ! It was prooved that it works for over 30 years the same (noisy) way it worked when it was new! You won't find such a long-lasting car nowhere in the world!! It was created during the Communist regime in Romania, to serve in the army of the Dark Sith Ceausescu. Romania actually has the world's greatest supply of all known minerals. Especially prominent are diamonds, oil, and the only spot on Earth were the element Americium is naturally abundant and is often found above ground. However, Romanians burn all their minerals for heat, no matter how valuable. Diamonds and titanium are often the subject of mass burnings to bring heat into the homes of countless Romanians. Minerals make up the third largest export of Romania, following rubbing mint and strippers. Ultima editare a paginii a fost efectuată la 19 septembrie 2011, ora 01:39.